We cannot take a straight line between two locations on a map and consider that line the shortest distance between the two locations. With a very short distance —like within a city— it wouldn’t usually matter. But for long-haul flights across continents, then it would matter a lot. 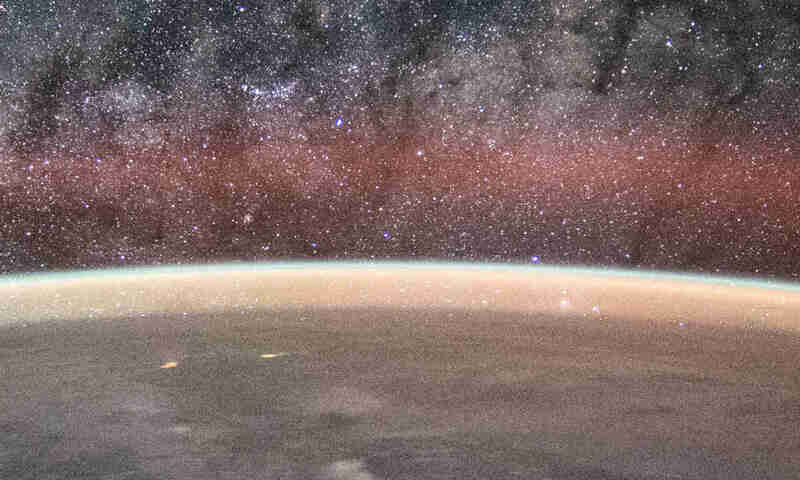 Flat-Earthers are known to use this mistake —whether deliberately or not— as a ‘proof’ that the Earth is flat. A common case they would bring is emergency landings. They would draw straight lines between flight origin and destination, once on a Mercator map (which they refer as something like ‘ball earth map’), and once on the supposed ‘flat earth map’. Then they would mark the locations of the emergency landings, and show that the location of the emergency landings would be closer to the route when it is drawn on the so-called ‘flat earth map’ than the ‘ball earth map’. Cathay Pacific from Hong Kong to Los Angeles, diverted to Aleutian Islands, Alaska. Qatar Airways, from Chicago to Doha, diverted to Moscow. Emirates, from San Francisco to Dubai, diverted to Moscow. Lufthansa, from Shanghai to Munich, diverted to Moscow. PIA Pakistani, from Islamabad to London, diverted to Moscow. It is wrong to use the Mercator map and take straight lines between two locations as the shortest distance between them. To demonstrate this, we can use a thread on a globe. We would be able to tell that the shortest distance between two locations on the globe —or the great-circle distance— are not necessarily straight when being plotted on a Mercator map. The Mercator map is not a globe. Like every other map out there, it is only a projection of a globe. Did you notice all the flights they mentioned are flights in the northern hemisphere? It is not a coincidence. 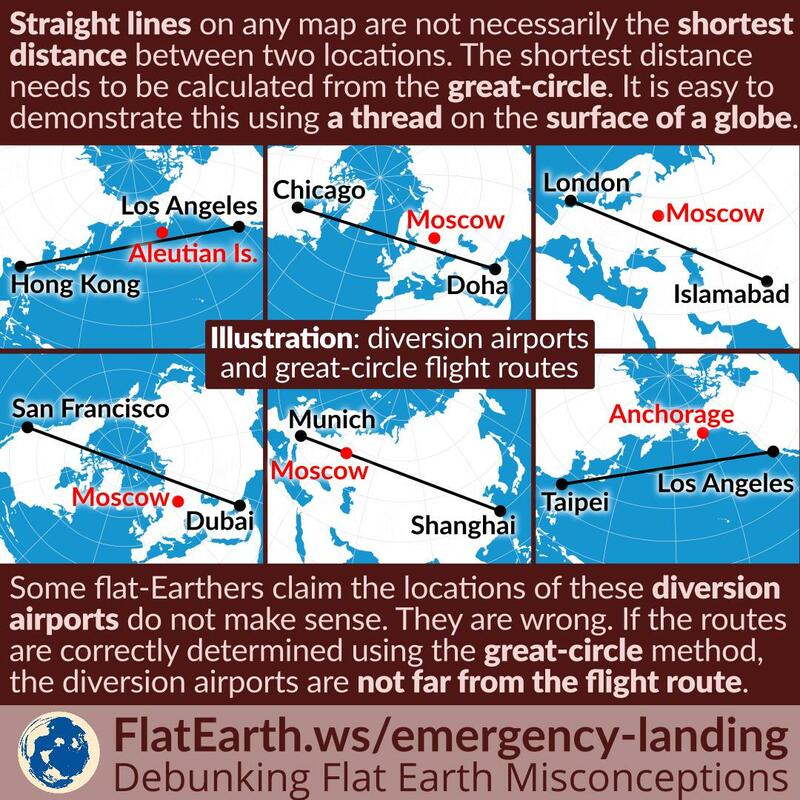 Had the emergency landings happened in the southern hemisphere, then their so-called the ‘flat earth map’ would fail to explain them, every time.